This serum hydrates the skin to balance the loss of elasticity, helps prevent the formation of wrinkles and fine lines, and smoothes and helps reduce surface imperfections. Recommended for all skin types, but ideal for the eye and mouth area, expression wrinkles, and first signs of fine lines and wrinkles. Use on the face, eye area, neck, and cleavage. 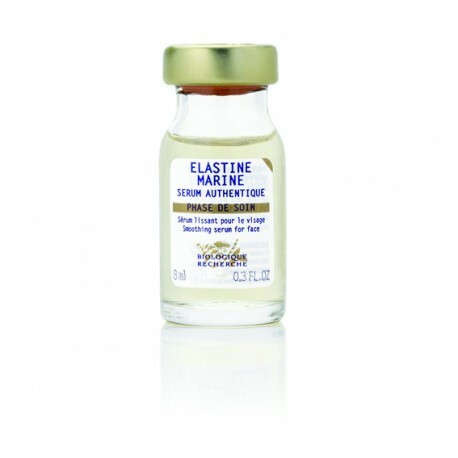 This bio-marine serum smoothes the epidermis and visibly reduces the appearance of wrinkles and fine lines. Apply on clean skin over the face, neck and cleavage in a light ascending massage until the product has been completely absorbed.